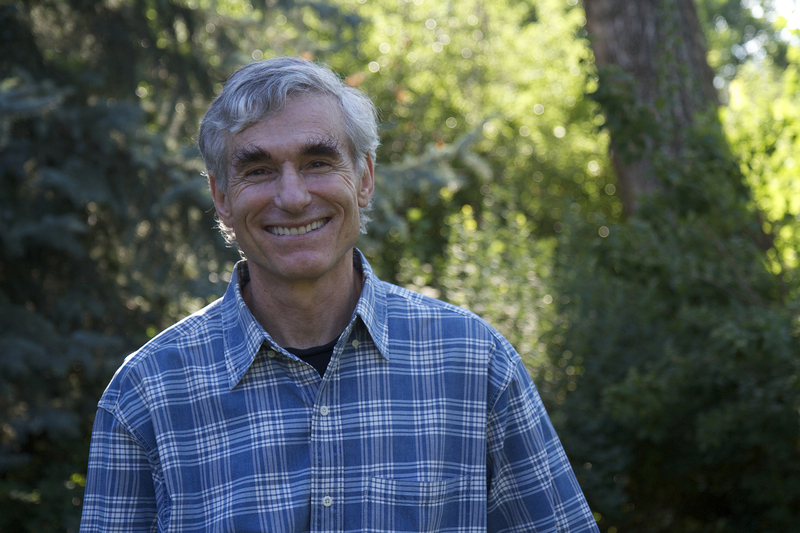 EMA had the pleasure of talking to illustrious conservationist and author T.A. Barron about the 25th anniversary of "The Ancient One", life, the environment, and what the future has in store. What inspired you to write “The Ancient One”? The Ancient One really came from a night I spent camping out in a redwood forest in California. That night I wondered what stories those ancient trees might tell – and it led to the book. The story features a brave teenage girl, Kate, who must find the strength to surmount her greatest fears to save her town…even as she finds the secret of hearing the voice of an ancient redwood tree. People have enjoyed “The Ancient One” for 25 years. What makes its message as relevant today as when you first wrote it? In today's hyper-connected, materialistic, noisy world we need time in nature more than ever. For only in wild places, can we still experience silence. We can hear voices apart from our own, sounds not made by automobiles or chainsaws or electronic media. We can even hear, sometimes, the ongoing whispers of creation—that remarkable process whose essence is life, and whose engine is silent. We have the opportunity to learn that nature can be a wonderful friend. A brilliant teacher. A powerful healer. And a great inspiration. My greatest hope is that The Ancient One will give people a good, enjoyable read—and also remind them of those magical qualities of nature. How did your youth spent in the Rocky Mountains influence your writing? The best way to explain is to start with my childhood. I was lucky enough to grow up in places where I could always explore a mountain stream, climb a tree, pick an apple, or just cover myself with mud. The nearness of nature shaped me profoundly. 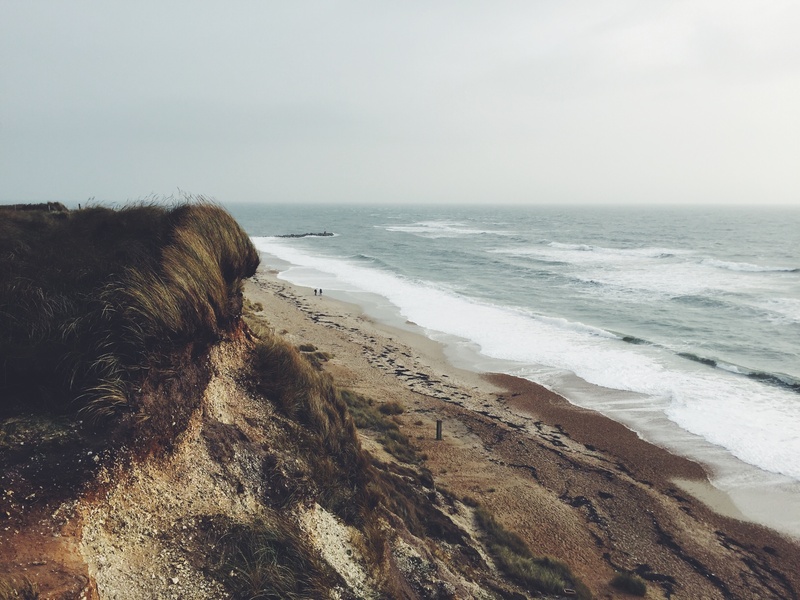 Not just in the adventurous ways you might expect—in deeper, spiritual ways, as well. For example, I remember a snowy day when I was very young. My mother—an independent soul who was a geologist as well as a pantheist—dressed me in one of those big puffy snowsuits that made me look like a waddling balloon and took me outside. The snow drifts towered over me. Then she patted the top of a huge snowdrift and said, “Believe it or not, there are flowers under there. You won't see them until springtime, but it's true.” I was astounded. Flowers? Under there? She was telling me about the patterns of the seasons, of course—but also about something more. Something like … hope. Transformation. Renewal. Then there was another day, when my brother and I found a slab of petrified wood, over fifty million years old, on the hill behind our Colorado ranch house. Fifty million years, I thought—why, that was even older than my dad! That was my first glimpse of geologic time—and a whole new perspective on human life and mortality. And another day, when I was about twelve, I was walking through a meadow on the ranch. Suddenly I saw some geese flying overhead. They were so close I could hear their wings whooshing as they flew. Some of them, I realized, had started their journey way up in the Arctic, in Alaska, and had flown over western Canada and the Rocky Mountains, all the way to our little meadow. It struck me that their flight tied together some of the most beautiful places on this continent—that, by the very beating of their wings, they connected all those amazing places. And that they actually also connected me to those very same places. So, how did these experiences shape me? Well, early on I realized that unspoiled nature is the best place to feel both very small and very large at once. Humbled as well as inspired. In nature, we can be dwarfed by the grand sweep of the stars or oceans or mountains, and yet still be part of it all—connected to the changing seasons, the tracks of a fox, or the flight of geese. In nature, we can know that we are a very small part of the universe—but that we are, nonetheless, still part of the grandeur, the pattern, the mystery. How does being a parent affect what you choose to write? Being a parent has certainly made me a better storyteller. I learned early that if I could keep the attention of our five kids around the breakfast table first thing in the morning, and not have them fall asleep in their cereal bowls, then I might have a chance to tell a gripping story. In addition, just by spending time with those kids—who are so full of humor, freshness, honesty, creativity, and ideals—how could I not pick up some of those qualities myself? One more thought: I think writers whose stories are shared with young people have a responsibility to give them a feeling of hope and empowerment. That certainly doesn’t mean talking down to kids or avoiding any of the real struggles, pain, and hardships of life. Just the opposite! But through depicting honest struggles and serious challenges, we can also inspire authentic hope. How important is it for writers, artists, and influencers to incorporate environmental messaging into their work? The most important thing is to convey to our children, through actions as well as words, the interdependence of all living creatures. We all belong to the same human family; we are part of the community of species; our fate is connected to the health of our planet. And it’s our responsibility as humans to do everything we can to protect, conserve, and nurture the remarkable planet we’ve been given. Saving the Earth is also saving ourselves. What’s next for T.A. Barron? Happily, I’ve just finished writing the final book in my Atlantis Saga, Atlantis Lost. It’s a great feeling to have completed this tale! And like all my books, it’s an environmental fable that raises questions about how we can live sustainably on our beautiful but beleaguered planet – which is, like Atlantis, an island. The first book, Atlantis Rising, revealed how the mythic isle of Atlantis was created—what people were central to its birth, what was the real source of danger, and why this magical place had such power and inspiration. The book also reveals the seeds of the island’s ultimate destruction. And it’s also a love story between a young man, Promi, and a young woman, Atlanta, whose great courage is essential to the birth of this magical world. 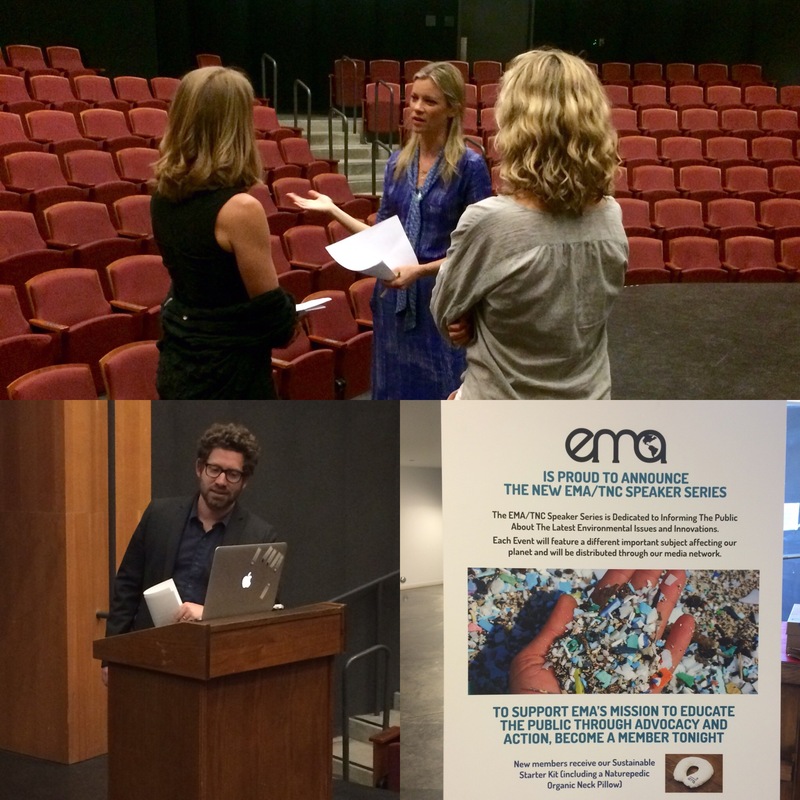 The Environmental Media Association and The Nature Conservancy hosted an expert panel discussion on the impacts of and solutions to plastic pollution in the ocean. 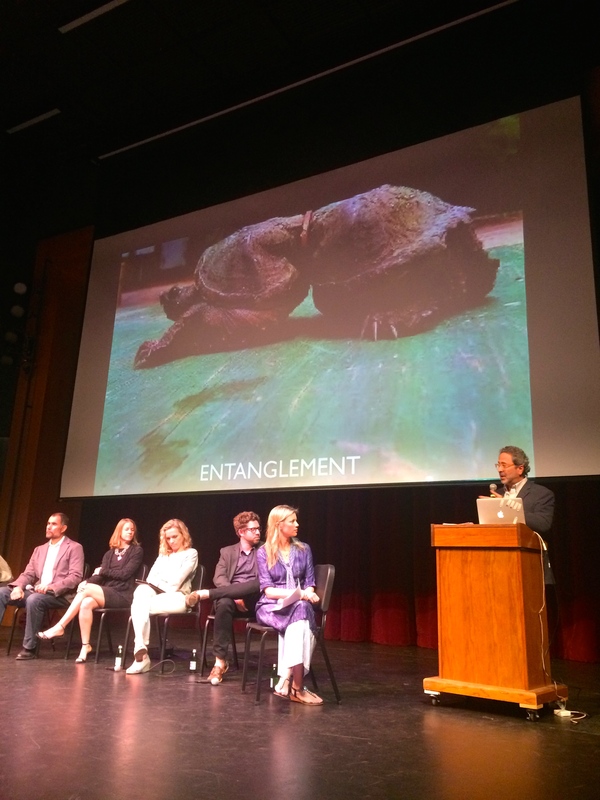 The panel included Dr. Marcus Eriksen and Anna Cummins of 5 Gyres, Asher Levin of EMA, Dr. Stephanie Wear of The Nature Conservancy, Assemblymember Richard Bloom, and EMA Board Member Amy Smart as the moderator. 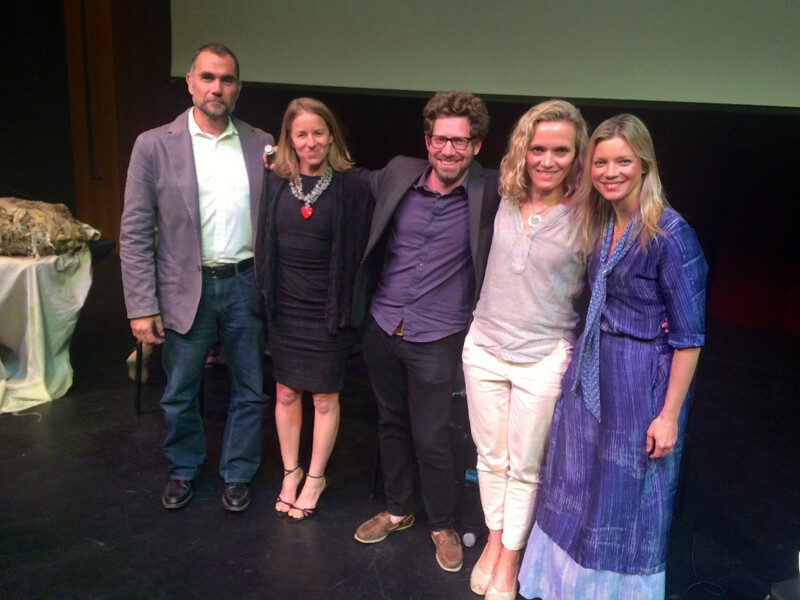 The event took place at the incredible Moss Theater at New Roads School in Santa Monica. The talk was bookended by pre-event cocktails and a post-event reception. We'd like to extend a HUGE thanks to Gardein for supplying the evening with yummy, meatless, appetizers and to Health-Ade for the delicious kombucha. "The world’s oceans are contaminated with plastic pollution, primarily microplastics – smaller than a pea. In 2014, The 5 Gyres Institute published the first global estimate of marine plastics – 270,000 metric tons from 5.25 trillion particles. 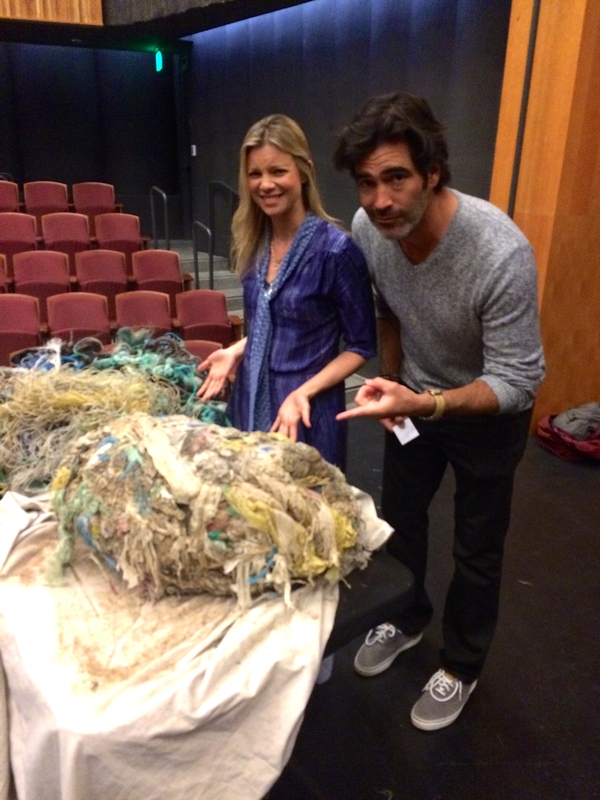 We’ve turned our oceans into a plastic smog." In other words, microplastics are a massive problem. From policy to pollution, the conversation touched on many subjects. One of the most salient points of the night was that this problem isn't just the consumers' fault, but that of the producers. Though recycling is a necessity, we shouldn't be making so much plastic in the first place! As you may know, the plastic problem isn't only in our oceans. Dr. Marcus Eriksen explained the great reach of plastic waste by telling the story of a trip he took to the Middle East where he was led to examine a camel carcass and soon discovered a giant ball of plastic bags inside the dead camel's stomach. The visuals shocked the audience (pictured below). People left the talk galvanized to limit their plastic use and spread what they learned to their friends and family. Out of sight, out of mind is still a huge hurdle in the fight against plastic pollution, but thanks to the internet, social media, and public forums such as our discussion, more and more people are taking action. Further, the discussion was the perfect place to reveal our latest project: Coastal Caravan, which will help bring this issue, along with other problems facing our oceans, to the general public. If you weren't able to make it to the talk, yet still want to do your part in spreading the word, share the video and podcast on social! The more people we get demanding sustainable packaging, the faster it will happen! Stay tuned for many more exciting talks in our speaker series! It's such an honor to have our Awards Show ranked in the top ten events in SoCal. 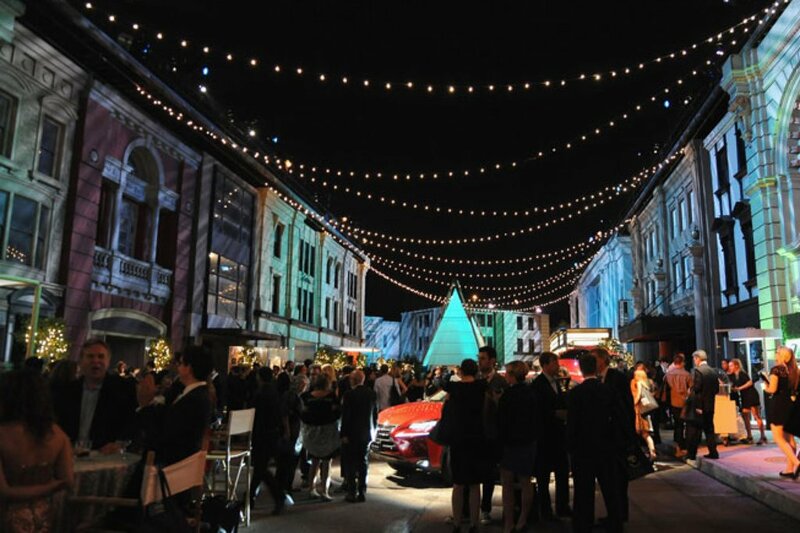 The list, created by BizBash, is a preview of the top 100 events in Southern California happening this year (2016). We're glad our event shows the world that being green is cool, elegant, and exciting.